A novel method is proposed for estimating the machining errors on machined surfaces caused by errors of multi-axis machine tools, such as geometric errors, based on a new generating method of tool swept volumes. In the proposed tool swept volume generation method, the boundary surfaces of the tool swept volumes are derived as triangular mesh models satisfying the required approximation accuracy based on the tangency condition. Using the proposed method, tool swept volumes can be derived for various tool paths including the tool self-intersecting motion. A tool path evaluation method based on the error vectors with respect to the start position of a specific tool path is also proposed. In the proposed evaluation method, error vectors on machined surfaces are derived by comparing the points on the nominal tool swept volumes (excluding the machine tool errors) with the triangles on the error tool swept volumes (including the machine tool errors). W. Arai, F. Tanaka, and M. Onosato, “Error Estimation of Machined Surfaces in Multi-Axis Machining with Machine Tool Errors Including Tool Self-Intersecting Motion Based on High-Accuracy Tool Swept Volumes,” Int. J. Automation Technol., Vol.12, No.5, pp. 680-687, 2018. R. Sato, Y. Sato, K. Shirase, G. Campatelli, and A. Scippa, “Finished Surface Simulation Method to Predicting the Effects of Machine Tool Motion Errors,” Int. J. Automation Technol., Vol.8, No.6, pp. 801-810, 2014. S. Hasegawa, T. Nishiguchi, R. Sato, and K. Shirase, “Evaluation of behavior of rotary axis around motion direction changes in 5-axis controlled machining center,” Proc. of JSPE Semestrial Meeting 2016 Autumn Conf., pp. 85-86, 2016 (in Japanese). S. Ibaraki and I. Yoshida, “A Five-Axis Machining Error Simulator for Rotary-Axis Geometric Errors Using Commercial Machining Simulation Software,” Int. J. Automation Technol., Vol.11, No.2, pp. 179-187, 2017. R. Dubovska, J. Jambor, and J. Majerik, “Implementation of CAD/CAM System CATIA V5 in Simulation of CNC Machining Process,” Procedia Engineering, Vol.69, pp. 638-645, 2014. C.-J. 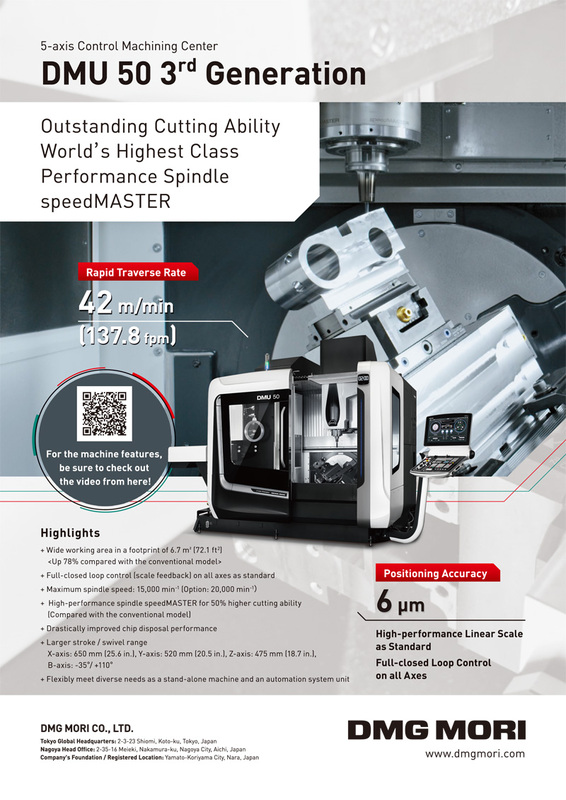 Chiou and Y.-S. Lee, “Swept surface determination for five-axis numerical control machining,” Int. J. of Machine Tools & Manufacture, Vol.42, No.14, pp. 1497-1507, 2002. L. Zhu, G. Zheng, and H. Ding, “Formulating the swept envelope of rotary cutter undergoing general spatial motion for multi-axis NC machining,” Int. J. of Machine Tools & Manufacture, Vol.49, No.2, pp. 199-202, 2009. B. Adsul, J. Machchhar, and M. Sohoni, “Local and global analysis of parametric solid sweeps,” Computer Aided Geometric Design, Vol.31, No.6, pp. 294-316, 2014. S. N. Srihari, “Representation of Three-Dimensional Digital Images,” ACM Comput. Surv., Vol.13, No.4, pp. 399-424, 1981. T. Kobayashi, T. Hirooka, A. Hakotani, R. Sato, and K. Shirase, “Tool Motion Control Referring to Voxel Information of Removal Volume Voxel Model to Achieve Autonomous Milling Operation,” Int. J. Automation Technol., Vol.8, No.6. pp. 792-800, 2014. K. Watanabe, J. Kaneko, and K. Horio, “Development of Tool Collision Avoidance Method Adapted to Uncut Workpiece Shape,” Int. J. Automation Technol., Vol.11, No.2, pp. 235-241, 2017. W. P. Wang and K. K. Wang, “Geometric modeling for swept volume of moving solids,” IEEE Computer Graphics and Applications, Vol.6, No.12, pp. 8-17, 1986. S. W. Lee and A. Nestler, “Complete swept volume generation, Part I: Swept volume of piecewise C1-continuous cutter at five-axis milling via Gauss map,” Computer-Aided Design, Vol.43, No.4, pp. 427-441, 2011. W. Arai, F. Tanaka, and M. Onosato, “Tool swept types analysis based on tangency condition for generating tool swept volumes of generalized tool,” 2016 Int. Symp. on Flexible Automation (ISFA), pp. 303-310, 2016. W. Arai, F. Tanaka, and M. Onosato, “Study on generating tool swept volumes for machining simulation with geometric errors of multi-axis machine tools – Classification of shapes of tool swept area for radius endmill,” J. of the Japan Society for Precision Engineering, Vol.83, No.9, pp. 883-887, 2017. I. Inazaki, T. Kishinami, S. Sakamoto, N. Sugimura, Y. Takeuchi, and F. Tanaka, “Form shaping theory of machine tools – Its basis and applications,” Yokendo, 1997 (in Japanese).